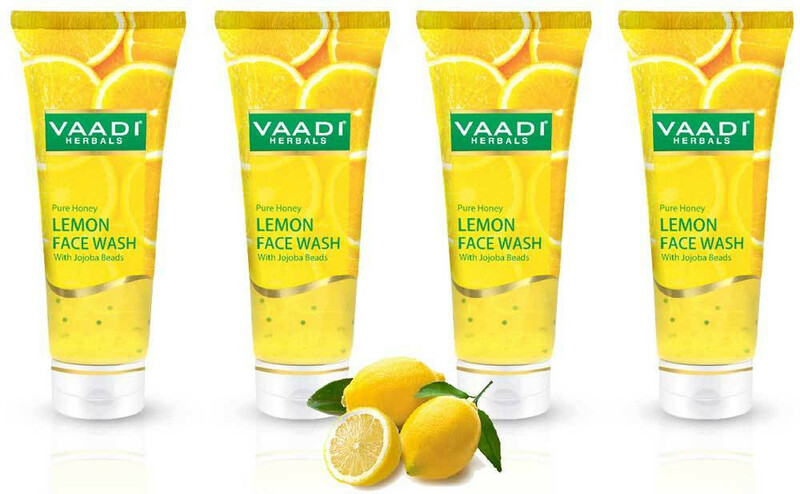 This face wash makes your skin smooth clear and soft and gives you naturally glowing skin. A perfect cleanser that only rids the face of excess oil, but also ensures that it doesn’t dry up. Lemon’s acidic nature breaks down the excessive oil molecules and unclogs the pores, thus fighting acne break-outs and blackheads. Honey, a natural humectant, keeps the skin hydrated and also fights acne.it removes excess oil which further prevents blackheads and acne outbreaks. It clears off the dead cells from the skin surface making skin radiant and clean. Vitamin C rich Lemon is a great anti-oxidant which nullifies harmful effects of chemicals on the skin thereby preventing wrinkles. Lemon hydrates, repairs and renews skin in no time.